I would like to try to help those who are either starting out blogging or feel like they have hit the wall. 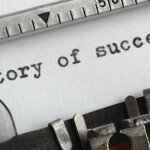 It’s great to write about how great blogging has been for me, like I did in my last post http://searchingforthehappiness.wordpress.com/2013/02/23/a-blog-can-change-your-life-in-astounding-ways/ but I realize that the article could feel frustrating to read if you feel stuck or overwhelmed. 1. Authenticity is everything. Be true to yourself and do what feels best. No matter how much advice you read, a blog will take a while to gather steam. Use this time to learn what you are passionate about. Tweaking the blog comes with the territory. You might decide to not continue to write poetry for example, but are loving writing about trips you have been on. Listen to your heart and follow what makes you feel happy and it will show through to others. You will also feel more invested and will want to stick with your blog instead of giving up. You might want to check out this article about different blogging styles. 2. Read the advice of others, but throw out what doesn’t work for you. If you have read this blog for a while, you are familiar with the posts I tested. My most well-known was the post, It Shocked us all! What Happened in the Toilet? http://searchingforthehappiness.wordpress.com/2012/03/16/it-shocked-us-all-what-happened-in-the-toilet/ Not only was the title horrible, you could tell I was trying to do something that didn’t come naturally. I wrote the article after I had read my fill of advice on the best titles to increase traffic to your blog. I’ve tried a few times to come up with solid titles and then write an article. It always has a poor reception. The best way I have found to write a post is to write about what is on my mind and then worry about a title. 3. 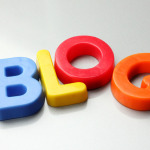 Go to other blogs and comment so that you will increase your traffic. Another good one is the advice of following other blogs so that people will get curious about your blog and stop by to see what you have. So here’s the trick, you have to be genuine. If you comment on a blog, make sure you have read the post and have something valuable to say. Commenting that you enjoyed the post is fine. What turns people off is when your comment is way out there and it’s obvious you never read the post. Another thing that can annoy some people is when you put several links on your comment every time you comment. If you have a link to share that goes along with the article, great. If you are just advertising your own blog, over and over again, you can come off as not genuine and kind of self-serving (sorry if that sounds harsh). If you follow someone, there is a good chance that blogger will look at your blog. Not everyone will follow just because you are following them. Make sure you have good content and hopefully you will have something that’s interesting enough for the person to stick around. One further note, I have noticed many people who go to as many blogs as possible and follow in hopes of getting a follow back. Many will follow back, but what you want is authentic followers who read your posts and comment. You can always tell who is just following a million blogs to raise their number of followers. In the comment section each comment will say, “thanks for following my blog.” There will be no comments about an actual article. It might look impressive to show such a big number of followers, but your blog will just be sitting empty with no real views or interest. It defeats the purpose of having a blog if you want to get anywhere with it. 4. Be everywhere. I have written before about all of the places I put my blog. The secret here is that no one really has the time to be that visible all over the web. Set up your blog so that readers can hit the sharing buttons such as Digg, Twitter and Facebook and share your content quickly and easily. Check in to these sites to see if your article was shared or commented on. If it has, thank the person or comment back. That way, you are engaged and even more visible without turning your blog into a full-time job. 5. Don’t Compare Yourself to Others. In the early stages of my blog, I wanted success right then. I had this vision of my blog taking off wildly. I read some blogs where there were 30 comments or 40 likes. Some blogs had 2,000 followers. At the same time I had maybe 1 comment, 2 likes and 4 followers. It seemed to go that way for so long. I didn’t take into account that some of these bloggers had been blogging for a few years. Some of the blogs had gorgeous pictures on it that just drew you in. Other blogs were just so well written and truly addictive to read. It wasn’t fair to compare. My blog was young. My writing style just developing. I had nothing special to draw in a reader but my words. It takes a lot of time, patience and a willingness to learn all you can and keep at it. Having a blog that loads slowly or freezes every time you go to it. Having a hard time finding where to comment or like a post. Having to put in all sorts of information and then deal with a Captcha Code. (People want fast and easy). Scrolling down, down, down to get to that comment box. (You might want to set things up so the newest comment shows up first instead of the oldest comment). Put in information about yourself under the About page. Readers like to know who you are and what your all about. Don’t have so many links that need to be clicked just to get to the article. Reply to the readers who take the time to comment. You are building relationships. If they have taken the time to write to you, it’s nice to get a reply. 7. Finding ways to show your appreciation for your followers goes a long way. I don’t have as much time as I would like to go to all of the blogs I would like to and participate. When I have some extra time, I make a massive effort to go around to as many people’s blogs as I can and show support. It makes me feel bad because the people who come my way are fantastic and I want them to know how much I appreciate them and what they do. I try to make up for this by offering bloggers an opportunity to guest blog or share a link or whatever else I can dream up to show I care about them. Finding ways to show you care really goes a long way in nurturing the relationships you are building. 8. The power of links. The more articles you write and the more links you share, the more traffic you will receive. 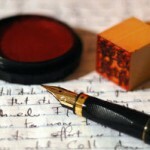 Find articles that are relevant to something you have written and add your link after your comment. Advertise your blog on as many blog sites as possible. Put your link to your blog below your signature when you write emails if it would make sense to do. The web is all about connections. Every link that is sent out will expand as more people share your link and send it around the web. The important thing is to be smart about where you add your link. As long as it is in a place that makes sense, your links will take off and your traffic will build. The best part is the more visible you start to become, the more often you will be found in searches. 9. Make sure you use categories and tags. This is so important. If you want to be found in searches, you need to add what category your post falls under. Maybe it’s health, family, how-to or self-help. 10. Write when you feel inspired. This is probably the best of all of the advice. When I began to blog, I read all sorts of articles stating that you should only write a few articles a week. Putting together a schedule of when you should write was a big part of that advice. I personally think that’s hogwash. The first several months, I wrote an article a day. I honestly think that is why my blog took off quicker. I was constantly sending out new articles and saturating the sites where I placed my posts. I felt bad when I felt truly inspired if I had already written an article that day. I didn’t want to go overboard and exhaust people with yet another article to read. I finally realized that if you have a lot to say, take advantage of that moment and write it. The best stories come from the moments when you feel ready to write. If you don’t want to post so many articles on the same day, save it on Microsoft Word and add it the next day. Another point is that if you feel like you are forcing a post, don’t write then. I have had times where I don’t know what to write for a few days. I don’t beat myself up about it anymore. If I read, watch a movie or get out of the house and go do something, I find that something will trigger an idea and then I’m off and typing again. I hoped that there is something within this post that will inspire you, answer a question or make you feel more at ease with your own blog. If you have anything that has helped you that you’d like to share, please do so. If you are stuck on something and have a question or feel unsure about your next step, ask in the comment section and I would be happy to give you some advice. This entry was tagged blog, bloggers, compare, facebook, followers, inspired, posts, reading, secrets, support, twitter, writing. Bookmark the permalink. Thank you so much for this advice. I remember having so much to write about when I started my blog; it was new and its initial inspiration was fresh in my mind (plus, I was such a newbie and was only concerned about writing and hitting publish). Five months later, I still love blogging and have learned so much more about it – and I’m in the process of shifting my focus. Thank you for the reminder that authenticity is crucial. I want to have a blog that I love coming to everyday, as well as my readers. It’s one thing to read articles about “The Best Headlines” and “Creating Searchable Content,” but what good is all that information if what you’re writing isn’t something you truly enjoy? Thanks so much for your comment Natalie. I believe you will be one of those people who have a blog long-term. You enjoy the essence of what a blog is first and foremost and you are staying true to those feelings. It’s wonderful! Wishing you all the best!! Wendy, Good stuff! Authenticity is good in everything: food, art, and writing. In fact, it’s what makes the universe sing. Thanks for sharing your advice. So glad you enjoyed the article Rita. Thanks for commenting. Great blog post with lots of useful advice. I’m not sure I’d agree with blogging to a schedule is ‘hogwash’ though 🙂 Writing blog posts and publishing blog posts are two different things, and as you say you can always save a post as a draft. Definitely agree that writing when you have an idea is the way to go, but publishing to a schedule is still a good idea. I think publishing to a schedule sets an expectation with your audience of what to expect and helps them enjoy your blog. If you publish once a week, then they are not checking back everyday and getting upset when nothing has been posted in 3 days. Great blog, Wendy!! I especially like # 5 – not to compare myself to anyone! Been doing that since childhood and I’m soooooo not like anyone else, nor do I write like anyone else – just can’t do it. I write from my voice!! I am one for making it different and I found your suggestions very helpful… I have been doing this for a long time and I find people don’t know what to make of my site. I take a lot of pride to bring new ideas to old things… from books, tv, movies, music, etc. I find that no matter how many places I visit or comment, I don’t think that people get me… and that might be the idea? Hi Jeremy, thank you so much for your comment. I have another blog, Adventures in Real Estate. It hasn’t taken off at all compared to this blog. You would think that this second blog would of course do as well as this one. I mean why wouldn’t I see the same results? The reason is because it is a niche blog. More people want to read about what they themselves experience vs reading about everything real estate related. If you love what you do, keep at it and try a few new things as you come up with different ideas. If you are looking more for a ton of traffic, look around at other blogs and see what blog topics seem to get a great deal of notice. All the best. I know right… my one site gets around 9,000 hits a month [lately] and no one ever comments…really, it must be something in the water… my fun site gets less numbers and more comments and it’s the same group of people with the occasional new comment. sorry i am rambling, but i think i am making a point… it doesn’t sometimes makes sense. i would rather see the numbers, that means traffic is good… i guess. really trying to make sense of it all, i won’t even mention the third site… no one ever goes there, but i have made the most extra money there. thank you for your helpful site, sorry if this is all over the road… early and me without my coffee, yet! bottom line is i want a fun interesting site, that people would or will come back all the time… and sprinkle a little kindness. Hi Jeremy, I guess that’s the challenge of having a blog. Getting the comments and the traffic. It really does seem that it either falls one way or the other for most people. I agree. Patience is something I seem to lack as well. This is one of the better bits of practical advice I’ve come across Wendy! And you certainly have built a heckuva blog since I first visited for the blog reviews back in the day. Your blog is a great example of how content and consistency is at least as important as throwing on bells, whistles, and flashy gadgets. You’re still using the default WordPress theme, which is elegant enough on its own, and you’ve restrained yourself from cluttering it up. I guess what I’m saying is good job! Keep the good advice coming ;). Connor Rickett blogs at his business site and at his personal (for fun) site. Stop by and say hi! This is great! Thank you for the tips! A lot of things in here make sense to me. Sometimes I try to write and I’m just not feeling it. So, yes it is better to wait. So thanks again! I’ve been writing a blog for a year and it hasn’t really taken off, so your advice is very timely! Thanks for the great tips! Thanks a lot Wendy for this post..Truly informative and believe me I learned a lot from this incredible article. One question! In Power of links ie no.8 you mentioned ‘Put your link to your blog below your signature when you write emails if it would make sense to do.’ Now my question is, is it adivsable to give our blog’s url in signature even on professional mails? Waiting for your reply. It depends what type of blog it is. I can put my real estate blog url in my signature when emailing clients for instance. Really good advice and even though many of the things you suggested are to me just common sense we all know that common sense is often burried away and people over look it…….. This is the first blog that the ‘related articles’ section of the blog post editor has brought me to that was actually very good. Looks like it had some use! Some of your advice here is fantastic. A little while back I was desperate for more views and was determined to write a post a day, and as you point out, It’s much better to write when you’re inspired rather than obliged to write. It’s safe to say that writing a blog a day didn’t work for me. Thanks again. I appreciate your added message today. I knew your previous comment, “It just takes a little bravery in putting the authentic you out there and having kindness towards those who reach out to you.”, was not intended to imply that those who are struggling are just lacking in bravery, authenticity or kindness. I’m sure it takes all you’ve cited (commitment, patience, effort, compassion, follow up, etc. ); yet, given the huge & growing numbers of those yet to reach the goals they desire, I just wanted to credit you for your success … and offer a window for you to recognize that what you have accomplished is no small thing. My goals are different than those of many others; yet I do share the desire to be supportive and kind to others. This latest article of yours is further proof of your commitment to helping others & to kindness as well. Thanks for your positive example. Thanks for sharing your wisdom Wendy…as a blogger of just a few months, your words are incredibly helpful and inspiring to me. Can’t thank you enough. Hey, I liked this. I have been having trouble growing my blog of 2 years but now it is finally starting. I am excited. I enjoyed it enough to send it to my friend who is just starting to blog. I also liked your idea of making commenting easy so I was surprised when I went to share it with her that I had to do one of those mind tricks with the crazy writing.I think you called it a Captcha Code. But I really wanted Vicki to get this post so I worked my way through it. Thanks so much,I appreciate what you do! I did the share on e-mail first and it was on there. Then i did the comment and did not have to repeat it. But, it was worth it! Hi Wendy, Great advice! I find myself at times, wondering what to write about. I have a passion for the Military, and the those less fortunate. I also love comedy. Do you think that a blog with respect to the aformentioned might be enough? By the way, I have been following your recent experience regarding the diet. Wish you the best. Blessings. Thanks once again for an awesome insight into the wonderful world of blogging. I have learned a lot from you. You are definitely a font of ideas today. All great advice. I too found myself wondering when people would notice and was so excited by my first comment, I lost my way for a bit and then found my style again and hope it works, but I know I am happy doing what I am right now. Will it change again, don’t know, as I grow and learn I’m sure it will be reflected on the blog.